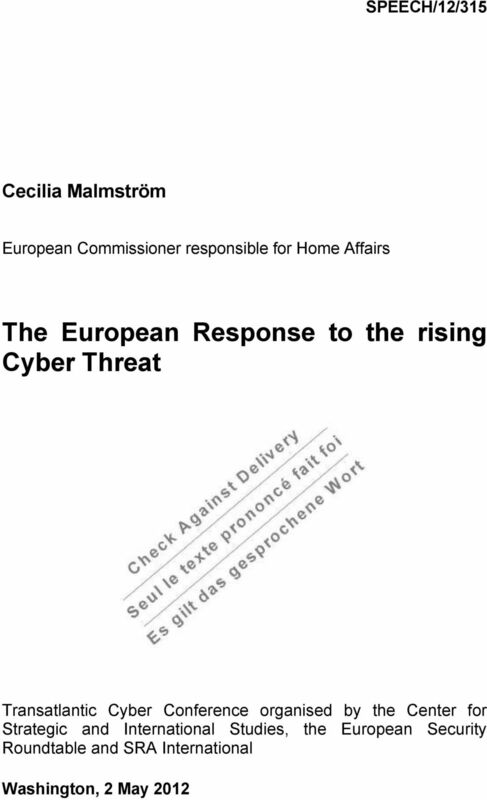 Download "The European Response to the rising Cyber Threat"
Government Decision No. 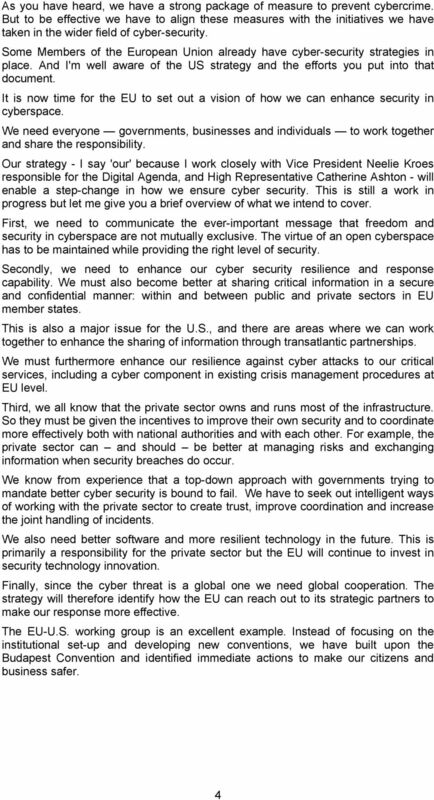 1139/2013 (21 March) on the National Cyber Security Strategy of Hungary 1. The Government hereby approves the National Cyber Security Strategy of Hungary laid down in Annex No. 1. 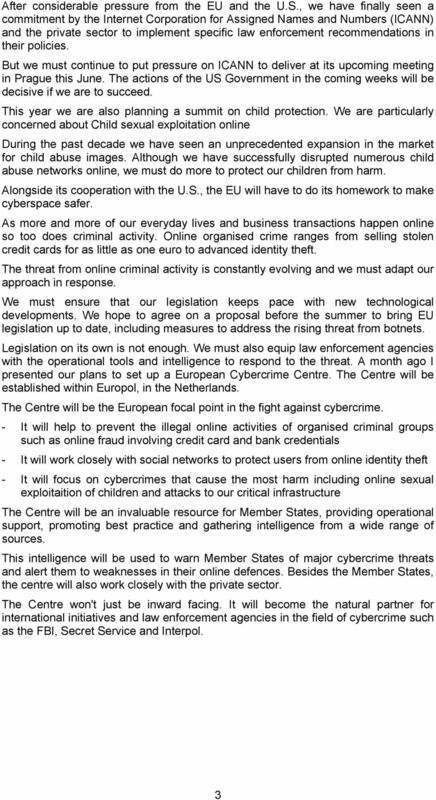 This report outlines the Force s current position in relation to the Policing of Cyber Crime. 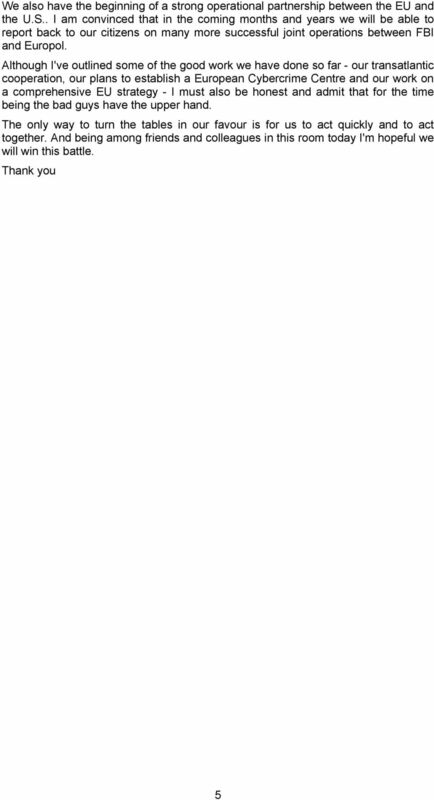 Keynote. Professor Russ Davis Chairperson IC4MF & Work Shop Coordinator for Coordinator for Technology, Innovation and Exploitation. Cyber security is a shared responsibility and each of us has a role to play in making it safer, more secure and resilient. Remarks. 7th International DNA Users' Conference For Investigative Officers. Ronald K. Noble. INTERPOL Secretary General.